As Australia’s sovereign naval shipbuilding capability ramps up, industry collaboration is key to developing the skilled workforce needed. 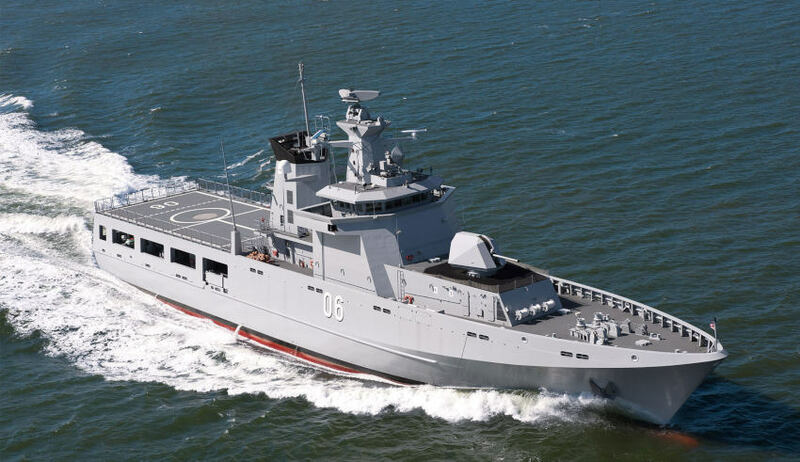 The Defence Teaming Centre (DTC) is working with Lürssen Australia and its partners, ASC Shipbuilding and Civmec, to provide a new program in shipbuilding education and apprenticeships. Young Australians will learn critical new skills and expertise with the support of one the world’s leading shipbuilders as part of a scholarship and vocational education program aimed at meeting the demands of a continuous naval shipbuilding industry. Director of skilling and workforce at DTC April McLennan said, "With the expansion of the domestic shipbuilding industry it is critical that we get a workforce capable of supporting the continuous shipbuilding plan and long-term maintenance and sustainment requirements of these new platforms, which is why these scholarships are open to students in the higher education space, including post-grad students and vocational training and education students." Applications from across Australia will be called for from 2018 for scholarships from undergraduates in relevant engineering, marine architecture and design courses, as well as for sponsored vocational study for apprentices and tradespeople to achieve higher TAFE qualifications. Successful applicants of the scholarship will receive a total of $10,000 to assist with tuition related expenses for the relevant shipbuilding course. To be successful, applicants will need to meet all the eligibility criteria. Three scholarship recipients will also be offered an internship with Lürssen, ASC or Civmec. Selected applicants will receive hands-on experience at nation and world-leading facilities. All successful applicants for the scholarship will be considered for the internship – which will be assessed on their academic results, understanding of the naval shipbuilding industry and their overall fit with Lürssen, Civmec and ASC. The internships aim to assist in preparing the applicants for long-term employment in the Australian naval shipbuilding industry following the completion of their studies or training. Additionally, those selected for the internship will also receive funding of $1,500 per month for local transport, housing and living for the period of the internship. Be undertaking an approved program of study (postgraduate, undergraduate and Vocational Education and Training from Certificate 3 to a PHD level), at selected educational institution within or affiliated with the Defence Industry Education and Skills Consortium. Eligible institutions include: Charles Darwin University, University of Western Australia, University of South Australia, University of Adelaide, Flinders University, RMIT University, Edith Cowan University, South Metropolitan TAFE, and TAFE SA. Additionally, approved programs of study include those that would lead to employment in the Australian naval shipbuilding industry with payment of the scholarship made only after successful enrolment. These are identified and determined by the educational institutions. Be eligible to pass a base level security clearance. Applicants are selected through a competitive merit-based selection process against the eligibility criteria, including consideration of academic results. All applications submitted by the closing date, 24 August 2018, will be considered. "Twelve scholarships will be awarded, with three of the successful candidates also eligible for an internship with either Lürssen, ASC Shipbuilding or Civmec to further expand their knowledge, experience and skills," said McLennan. Successful applicants will be notified by the DTC and will be required to accept the scholarship offer (and internship, if appropriate) within 14 days of receiving the offer.